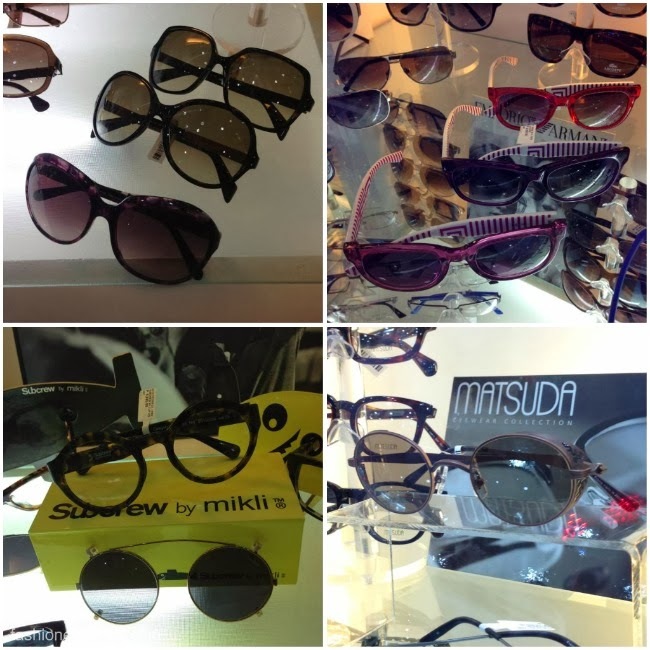 Sarabia Optical is new and better than ever. 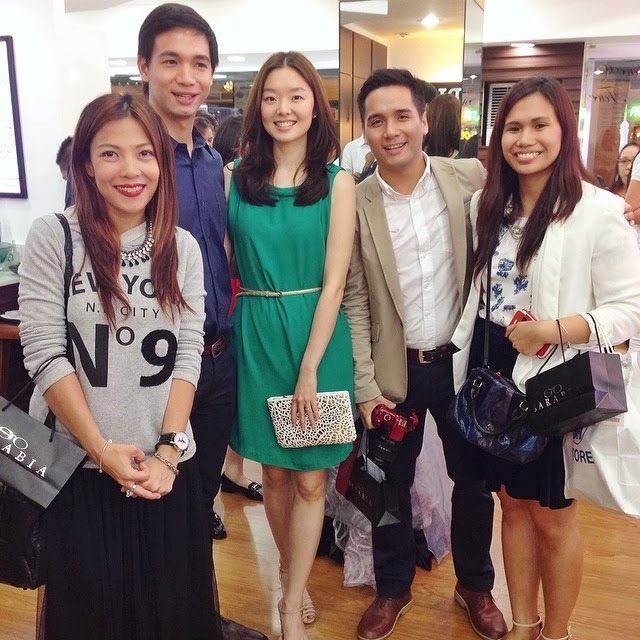 At an event held last March 11, 2014, Sarabia Optical celebrated their official Relaunch at their Greenbelt 1 Boutique. The new Sarabia is chic, modern and cutting edge with new and exciting brands under their wing. Aside from cocktails and speeches, there was also a mini fashion show wherein models/brand ambassadors for the day were clad all in white to give emphasis to the eyewear being shown. 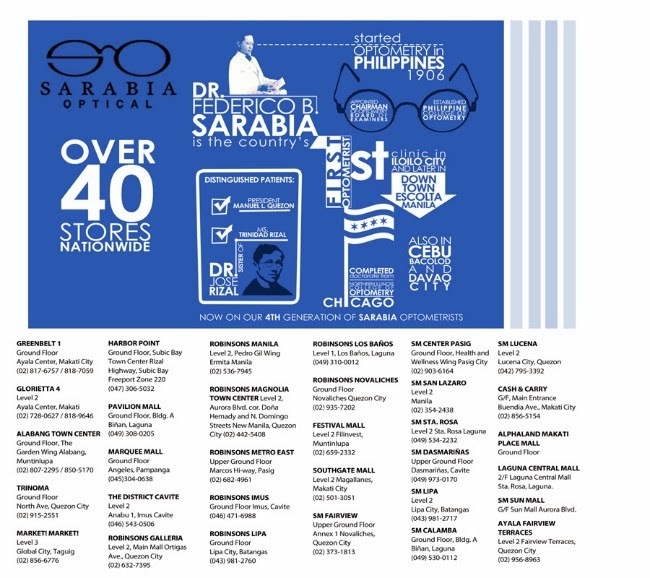 Among the specialty brands that Sarabia now carries is Lindberg - a company highly revered for their ultra-modern, screw-less designs; Mykita which is handmade in Berlin and has been seen on faces of many celebrites among them Sarah Jessica Parker, Lady Gaga and Cara Delevigne (love her)! There's also Gold and Wood for those who like the noble look of rare woods mixed with gold for their frames, Gotti with its 360 spin and stow hinge, handmade Japanese brand, Matsuda, and of course, my personal favorite, Face A Face: modern, carefree and brimming with character! 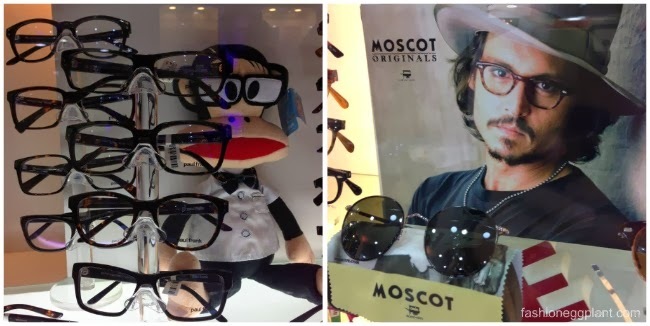 Aside from the brands I mentioned above, you can still expect to find old favorites like Gucci, Fendi, Lacoste, BMW, Tag Heuer, Rudy Project, Silhouette, Tom Ford, Celine, Cartier, and a lot more.